UPDATED: Mon., April 15, 2019, 5:54 p.m. Shocked silence. That is how Winston Holyfield, a Gonzaga University student, described the scene at the burning of Notre Dame Cathedral, one of the most iconic structures in Paris. Holyfield said that the embers were flying so high in the sky that they look like stars. Holyfield stayed outside the church, hoping that the tides would turn and the fire would be extinguished. Holyfield has been in France since February as part of a study abroad program, but he had yet to visit Notre Dame because he was saving it as a “capstone” to his visit. This Saturday, he had plans to attend the Easter Vigil Mass at the church. “You think you have all of the time in the world, and I realized when the spire started to catch fire that the whole church might not make it,” Holyfield said. Spokane Bishop Thomas Daly’s first time visiting Notre Dame was 20 years ago this summer, and for the past decade, he has visited once a year as part of a summer pilgrimage working with the sick. What struck Daly about the church was the beauty of the stained glass and the intricacy in craftsmanship of the wooden carvings inside the church. Joe Mudd, Gonzaga University Associate Professor of Religious Studies, visited Notre Dame when he was a child, but he teaches the history of the church in his classes every year. He said that he felt awe as a child, and feels that same awe every time he tells his students about the cathedral. Mudd said when the cathedral was built, its construction created many jobs, but what was also special was the construction giving people a sense of meaning and purpose. “All of their faith, devotion and love went into this building,” Mudd said. 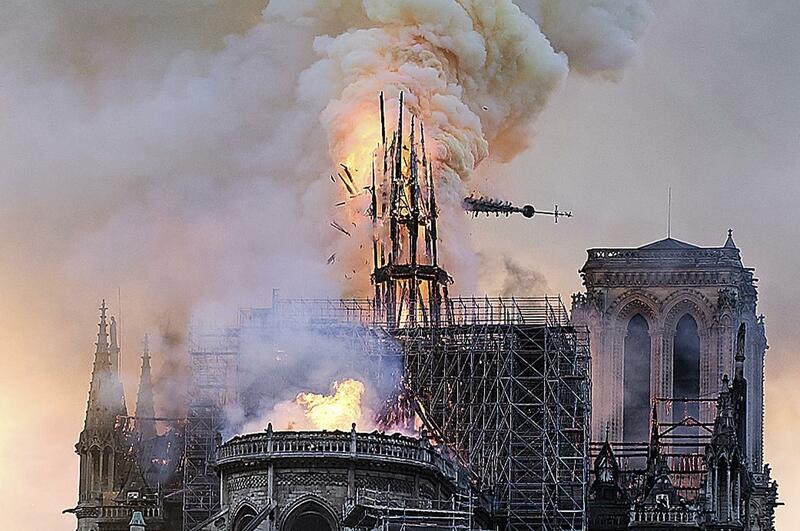 French media quoted the French fire brigade as saying the fire is possibly linked to the church’s $6.8 million renovation. Published: April 15, 2019, 5:23 p.m. Updated: April 15, 2019, 5:54 p.m.